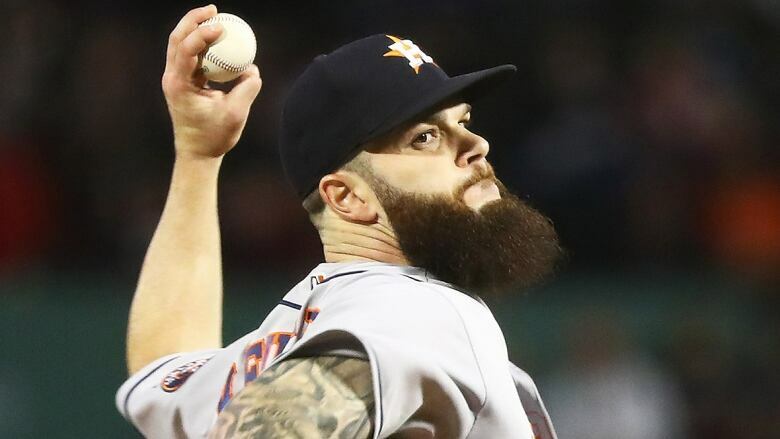 The annual off-season fight for pitching is on, and Dallas Keuchel is becoming one of the most coveted arms on the free-agent market, with the Toronto Blue Jays said to be interested in the former Houston Astros left-hander. The annual off-season fight for pitching is on, and Dallas Keuchel is becoming one of the most coveted arms on the free-agent market. Keuchel, 30, won the 2015 American League Cy Young Award and spent seven seasons with the Houston Astros, including three 200-inning campaigns. He could be the next domino to fall in the off-season chase for starting pitching, following the seven-year, $140-million US pact between Patrick Corbin and the Washington Nationals finalized last week. Keuchel is the top target of the Atlanta Braves, per MLB insider Jon Heyman, after the team lured third baseman Josh Donaldson and brought back catcher Brian McCann. The Braves are righty dominant in the rotation, led by Mike Foltynewicz. But Atlanta is no shoo-in for Keuchel's services, per multiple reports. The Cincinnati Reds, Toronto Blue Jays and Philadelphia Phillies, who offered Corbin a five-year, $100 million deal before the former Arizona starter picked Washington, are all chasing Keuchel. Keuchel is not an overpowering ace but effective nonetheless. He was 12-11 with a 3.74 ERA last season and has a career 3.66 earned-run average as part of a 76-63 record. One pitching-needy team, the New York Yankees, will not bid for Keuchel, according to ESPN. While the Yankees were in on Corbin, reports indicate they are focusing on getting their own free agent, former Blue Jays lefty J.A. Happ, under contract.